"Personality at Work lays out, in plain English with stories and hard data, the key personality traits that drive effectiveness and high performance and the common traits that derail and degrade effectiveness." As I began to read Ronald Warren’s Personality at Work, I wondered if I was going to regret this book choice. The book describes (and references as its core model) a personality assessment tool called the LMAP 360. I was afraid I had purchased an advertisement for something I wasn’t shopping for right now. That concern quickly dissipated as I became absorbed in the stories of Steve Jobs and Steve Wozniak—and how their personalities shaped the trajectories of their careers at Apple. And, I found the model that the LMAP represents—and the research Warren has done over the years and references—both fascinating and illuminating. Warren is a researcher—and a great storyteller. A second concern emerged as I began to wonder whether Warren was suggesting that we’re stuck with the personalities we’re born with—and, given that some personalities are correlated with higher performance, that leaders are born, not made. As I read more, I began to understand Warren’s argument and it was much more sophisticated than that. Our personalities can support us and they can get in our way. The better we understand our personalities—and the impact of our behaviors—the easier it is to shift our behaviors so that we can do more of what makes leaders better. Warren is honest about how challenging that can be—which is why, ultimately, this may be one of the most useful books about leadership that I’ve read. 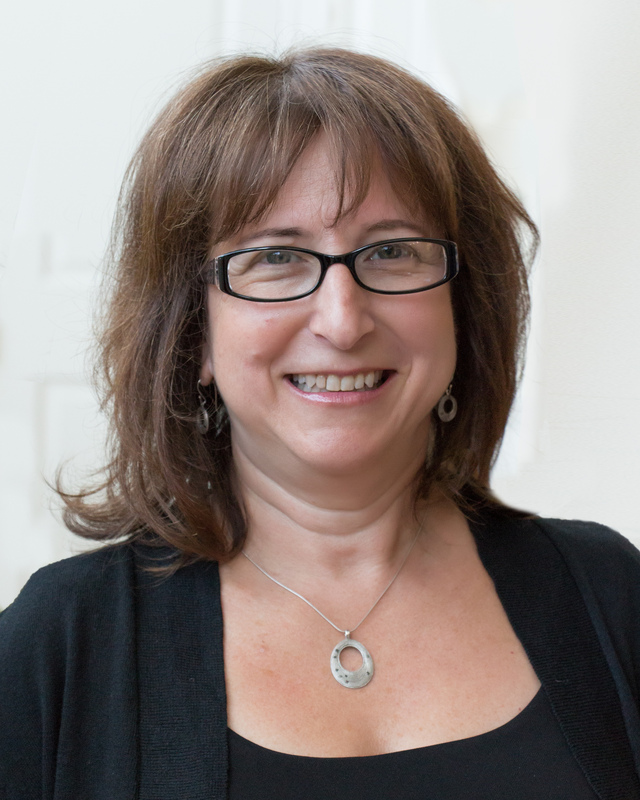 "A key reason for writing this book is that the most successful leaders have Grit and EQ, but far more leaders and aspiring leaders have prominent deference or domineering behaviors. " 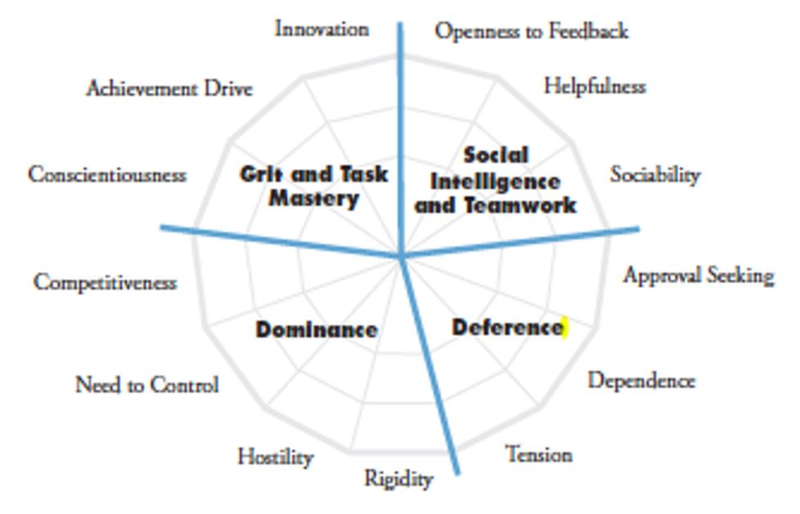 Warren posits a personality model that has four dimensions that, together, are represented in a circle: Grit and EQ (the top left and top right of the circle) and Dominance and Deference (the bottom left and bottom right of the circle). Each of the quadrants has different dimensions, representing a total of 13 personality traits. A 360° survey shows how you are perceived—and how you perceive yourself. Even without the survey, you can make some guesses about your own personality—and contemplate what you might be missing that others see. Warren identifies “left-siders” and “right-siders.” These are people who have a strong tendency towards dominance or deference—which can derail leadership performance. If you fill the entire right side and spill into the top left—or if you fill the left and spill into the top right—you have a personality that is correlated with being a high-performing leader. And, if you have little of either bottom quadrant, you’re even more likely to be effective as you have fewer derailers. The challenge lies in profiles that are heavily left- or right-sided and especially dominant in the bottom quadrants. It’s important to note that a large percentage of those who take the assessment and are (or are striving to be) in leadership roles have “right-side” and “left-side” profiles. So, this is not academic. Warren suggests that personality is expressed through behaviors and that we can, regardless of our profile, manage those behaviors. He embraces the concept of “growth mindset” as defined by Carol Dweck (see Mindset). Our personalities are not hard-wired. At the same time, he reminds us that the goal is not to revamp who we are—it’s to learn to build enough Grit and Social Intelligence to be effective and successful. 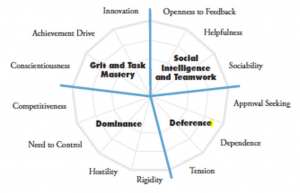 So, if you do want to fully embrace a formal leadership role, how do you work with high deference or high dominance traits? That’s what each of the Insights below will touch upon. "Part of a professional’s job responsibilities is to think of and ask even the tough questions that perhaps others are afraid to ask—even when you fear that it is just you who is confused." Warren draws on the distinction between inquiry and advocacy to guide right-siders (deferent leaders) and left-siders (dominating leaders) to modify their behaviors. For those who are deferent, the challenge is typically around advocacy—speaking up. He suggests that learning to speak up is inherent to what it means to lead—and that those who are, by nature, deferent, must develop new “speak up” behaviors. He suggests that deferent leaders reframe their “tenderhearted” natures and learn to see taking action, speaking up and challenging as serving the organization—and the people that they are speaking up to. This extends to difficult conversations with struggling employees—they do not benefit from staying quiet. He also notes that people who tend towards deference might fear being perceived as pushy and aggressive when this is unlikely to be an issue—and that these deferent leaders, who are often the ones who listen more fully, are likely to be bringing important views and questions to the table. One specific suggestion Warren makes is that these deferent leaders practice speaking up—using those that they trust to role play challenging conversations and get more comfortable with advocacy through practice. "I am not the first or last executive coach who’s suggested to difficult personalities to not be their authentic unpleasant self, but instead to behave with respect and civility toward others. Authenticity can be overrated." The value of learning to be curious, to inquire, to be less sure of ourselves, to hold opinions lightly, can’t be overstated. Without these modifications, we are subject to cognitive biases and our opinions, however strong, are likely to be wrong. And, if not wrong, not shared or understood by others. Inquiry is a window into empathy and patience and collaboration. A great suggestion for left-siders is that they channel their energies for self-efficacy, which are often powerful, into facilitating the effectiveness of other’s efforts—getting as curious and focused on the success of others as on their own success. As a coach who works with people who are both left and right-siders, I appreciated this book greatly. As someone who tends towards the left-side, I also appreciated the coaching. What struck me is how very different the work is for these two types of personalities. Both the overarching model and the specific ideas were not only useful, but presented through memorable stories that I won’t easily forget.